YOU see it everywhere, developments that cater to the rich while excluding the poor. Whether it is the redevelopment of Cape Town’s Waterfront by a DUBAI leisure company to make way for tourists; the fencing off of a public beach in Knysna to benefit private landowners; the introduction of an elitist transport system — the so-called Gautrain in Gauteng, to serve World Cup honchos; the creation of golf courses and gated suburbs for the rich and elderly with trust funds, on the East Coast; or the exclusion of operator calls and universal service on cellphone networks to increase consumer spend; the destruction of the global commons is proceeding apace. Laisazze Faire capitalism has created a particular logic, and with it the schizophrenia of development that caters for the wealthy while excluding the poor. Without equal opportunity, ordinary South African citizens are at the mercy of corporations and the fascism of the market. Without a welfare state, there is very little connecting the very rich and the very poor. What have South African’s in common with each other, except the insane propaganda dispensed on a daily basis, from a public broadcaster that caters solely to advertising revenues and ignores the prerogative of licence-holders who demand content that is not biased and is free of corporate-political and party-political sponsorship? GREEN EDGE: Shortsighted Industrial Expansion set to push up Electricity Tariffs. SOUTH AFRICA’S myopic development policies are creating increased demand for electricity and the quick fix solution contemplated by Eskom might do more harm than good. Already faced with the predicament of providing cheap electricity for new industrial projects such as the proposed Coega Aluminium Smelter, the national energy provider is contemplating several new energy projects, none of which fulfil the millennium goals for sustainable development as laid out at the Earth Summit. Instead of reducing demand in an energy intensive economy, South Africans could see sky-rocketing fuel prices and increased electricity tariffs as the move from dirty coal to cleaner gas turbines merely shifts the problem of sustainable energy consumption. 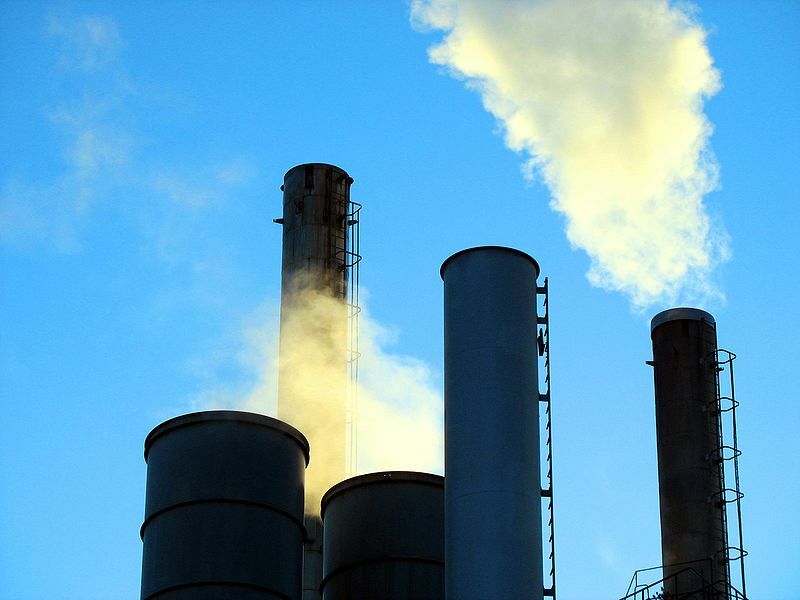 Already, two new gas-turbine power stations are planned for Mossel Bay and the Western Cape. Alternatives such as the pebble-bed nuclear reactor are considered too costly in terms of long-term sustainablity, with the price of nuclear power escalating over the course of production when factors such as decommissioning and disposal of spent nuclear fuel are taken into account. Other solutions exist in the form of renewable resources such as wind energy, wave energy, energy from the sun and the earth’s very own ambient radiation that periodically surfaces in the form of volcanic activity. Environmentally-safe Wind Farms, Wave Platforms, Solar Arrays and Geothermal Projects promised at the Earth Summit are still “just promises”. With consumers footing the bill for new development, answers such as a vague proposal for one pilot Wind Farm near Malmsbury “sometime in the future” and absolutely no progress in the emerging market for Wave, Geothermal and Solar, would seem “too little, too late”, as far as environmentalists are concerned. What would it take to develop a sustainable Geothermal energy programme? Technology such as the ability to harness the massive forces encountered underground by the mining industry exists, but has never been tested locally. Until Eskom starts addressing the issue of long-term sustainablity seriously, this country will continue to be faced with a crisis in which consumers are asked to cough-up, merely in order to supply big business with cheap power, in a development game whose real cost is measured in the form of indirect taxation and other kickbacks to industry. In fact BHP Billiton which has aluminium smelters in South Africa and Mocambique has already acknowledged there is a problem with power supply. Aluminium smelting like other energy intensive industries, uses a vast amount of power and the entire industry is considered economically unsustainable unless a cheap source of renewable energy can be found. Instead of spending billions of rands of tax-payers money on white elephants such as the Pebble-bed modular reactor, Eskom could have solved the problem by simply committing itself to next generation sustainable energy, spending more on renewable resources and less on non-renewables such as liquified gas and coal. SOME economists at the national conservative daily Business Report seem to have their figures all mixed up. Take the feasiblity of the proposed Aluminium Smelter at Coega. Apparantly since China has turned down similar proposals for at least six smelters, the resulting shortfall represents a gap in the market. The price of aluminium being what it is, “the project is even more attractive” say the boneheads at Independent Newspapers who in the same breath tell us why China turned down the once in a life-time chance to pollute the entire region with foul smelling industrial odours — the high cost of electricity. Now if memory serves me right, aren’t we experiencing an electrical shortage of our very own, at Eskom nogal? The figures just don’t add up, since the stupendously “low-price of electricity in Southern Africa” used to justify the project, that looks set to become yet another white elephant, no longer exists. Indeed, this country’s historical over-supply of voltage has simply fizzled into nothing but periodic black-outs, as more domestic homes come online, the townships plug in and we all get electrified over the seasonal purchase of new appliances. No fear, say Eskom, instead of promoting energy efficiency, we’ll simply spend another couple of billion rand, kidding ourselves that the power crisis is going to go away in a hurry, along with the cost of heating furnaces. If the current price of oil is anything to go by, we could end-up having to use whatever extra capacity we can squeeze from the national power-grid simply to convert coal into gas. In fact we would all be better off redirecting power into the new hydrogen economy, that as it turns out is exceedingly electricity hungry. Thankfully there are other power sources that seem far more sustainable, like biogas from maize, and geothermal energy, some of the more interesting green fuels, already available in some areas, but why kid ourselves that aluminium smelting is going to produce anything but trouble. If one takes the cost benefit and price of labour into account, the government will probably be spending in excess of R200 000 per worker on the project, and that’s before anybody gets paid. Better to simply give the money away. Environmental impact assessment:Burning oil with cheap energy? Come on guys, tell us another dirty one.